Hay fever, also known as allergic rhinitis is considered as a common condition which presents the signs similar to cold with congestion, sneezing, sinus pressure and runny or blocked nose. Hay fever is mainly caused due to the allergens and airborne substances like pollen, but not like cold that is caused by spread of virus. Majority of the people who have allergy with air particles and dust are prone to hay fever but does not suffer from common fever. This is due to the fact that it is an allergic reaction caused from the allergens released from fungi or plants into the air which affects the nose (sometimes eyes and sinuses also). How Long Does Hay Fever Last? Can You Get Asthma From Hay Fever? How To Relieve Hay Fever Symptoms Quickly? The period of time for which you get hay fever is dependent on what type of airborne matter you are allergic to in your surroundings. The treatment also is based on the cause of your problem. Hay fever usually lasts for few weeks or even months, rather than few days- which most of the cold sufferers think of. Since the main cause of getting hay fever is allergies, studies clear that as long as you are exposed to the allergens, it becomes very tough for you to relieve from the symptoms of hay fever. Most of the people learn to live with their hay fever as they cannot find any proper and permanent solution for it. As it can be a long term problem for many, experts suggests that it is good to rely on natural remedies rather than taking harmful medicines which may show certain side effects if taken for long. It has been found that 2 to 4 people in 20 usually suffer from hay fever (which includes adults as well as children). Usually this fever is found in family members who have suffered from eczema or asthma before. Alternatively if you have hay fever, then you are more likely to get asthma and other breathing problems, sooner or later. Studies show that about 80% of people who suffer from asthma also have pollen allergy. This simply means that these people get their asthma symptoms triggered when they come in contact with pollen and allergens. For many, this also imply that if they have pollen allergy or hay fever they can easily get asthma cough and bronchial problems soon. And for this reason doctors usually recommend that if you have asthma and also hay fever, it is important that you get your hay fever treated as soon as possible to avoid severe conditions. Although hay fever and asthma are completely different conditions, both of these involve inflammation of airways and sensitivity throughout the respiratory system. Also people who have blocked nose usually breathe from their mouth which many times aggravate their asthma conditions making it even worse. Due to this fact it becomes important for you to treat your nose (or airways) along with your lungs. Treating your hay fever in initial stages certainly helps in reducing the asthma related emergencies and visits to your doctor which can thereby help in lowering down your annual medical costs. Below are some of the best treatment options and natural remedies which can be tried out for treating hay fever and atopic triad. While most of them look forward to hot weather; mainly for hay fever sufferers, summers can be intolerable. 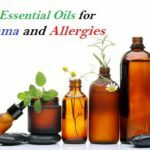 If you wish to get rid from sneezes and sniffs during the summer and spring season when the pollen allergens are highest, then natural remedies at home can really help to get back to your everyday life. Following the below mentioned home remedies you can easily combat your hay fever problem in a natural way without using those drowsy drugs. Honey: Honey is one of the best way to cure hay fever naturally, as the bee pollen in it can desensitize your immune system to other allergens. You need to include honey in your daily diet before the hay season starts to see the benefits. Vitamin C: This is known as the natural antihistamine and mainly found in Lemons, grapefruit and oranges. In addition to it, you have bioflavonoid with powerful anti-allergy effects which makes a good combination to provide a natural decongestant and antihistamine for patients to cure the early signs of symptoms. Hot peppers: Red chili peppers contain an active element known as capsaicin. These elements when consumed open up the nasal passages and reduce the congestion given by the hay fever. You can add it to your daily cooked food or salad or to every meal of the day. Carotenoids: These are the natural occurring pigments in plants which act as a powerful antioxidant that helps to reduce inflammation in your nasal passage and airways. You can find carotenoids in spinach, pumpkin, sweet potato and apricots. Chamomile tea: Chamomile herbal tea is an antihistamine and an antioxidant tea to treat your hay fever problems naturally. It has flavonoids which acts as an anti-inflammatory agent. You can prepare and take a fresh cup of tea every day to reduce the hay fever symptoms significantly. Also it can be used as an eye compress which provides cooling effect to the swollen eyes caused due to hay fever. Histamine is a chemical which your body produces when you are affected from the infection caused due to hay fever. When your body is suffering from hay fever, this chemical is produced in abundant, actually when it is not at all needed. Antihistamines are therefore one of the most common treatment for hay fever. You can use these drugs at times when you experience the symptoms so that you can feel better and cure hay fever fast. You can even take them before the hay fever season starts for you, if you know about the type of pollen you are allergic to. In both the cases, it is important to talk to your doctor before you consume them. Nasal sprays are often recommended if you are suffering mainly from blocked nose. Although a simple decongestant can be sufficient for your need, you may need a prescription for a corticosteroid spray if your symptoms are more severe. It is therefore important to choose the correct nasal spray for hay fever, after talking with your doctor. Eye drops which contains antihistamines can be most helpful for you if your main problem is related to eyes. Using these eye drops can effectively help in relieving the symptoms such as redness, watering and itching.